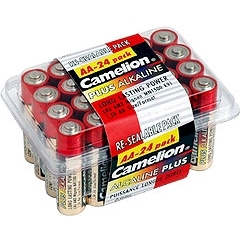 "AA Alkaline BATTERIES, 24 Pack"
"C Plus Alkaline BATTERIES - 4 Pack Our Camelion C Alkaline BATTERIES will last just as long as the leading brands, guaranteed! BATTERY sales are on the rise due to the continued introduction of new and unique BATTERY powered products. 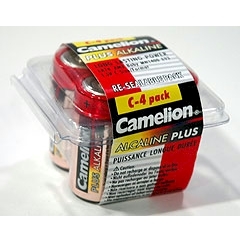 With long shelf lives for storage and quick turnover "
"D Alkaline BATTERIES, 4 Pack"
"D Plus Alkaline BATTERIES - 4 Pack Our Camelion D Alkaline BATTERIES will last just as long as the leading brands, guaranteed! BATTERY sales are on the rise due to the continued introduction of new and unique BATTERY powered products. 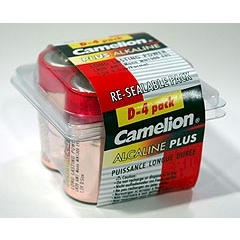 With long shelf lives and quick turnover our cheap alkaline"
$0.42 each when purchased by 20pcs (1 box). $0.36 each when purchased by 120pcs (6 boxes) or more. 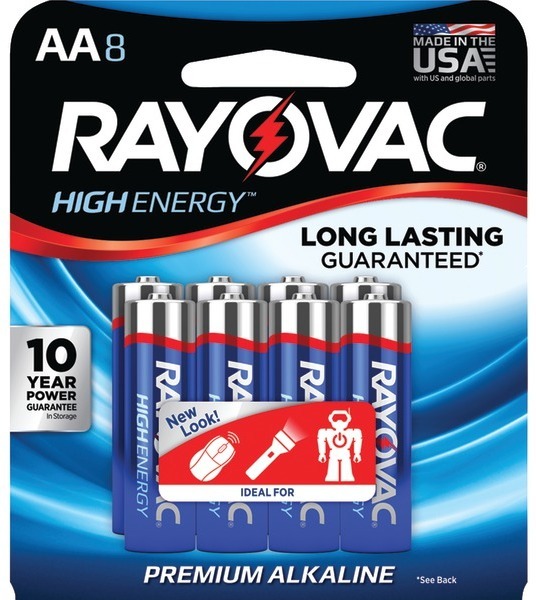 10 BATTERIES in each pack. $1.15 per pack when purchased by 2 dozen pack. $1.00 per pack when purchased by 6 dozen(72pks). $0.85 per card when purchased by 20 cards. $0.75 per card when purchased by 120 cards or more. "12-pc. 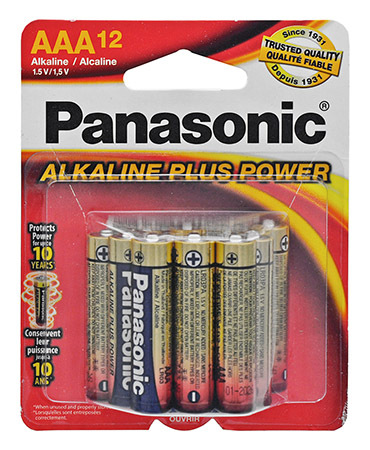 Panasonic Alkaline ""AA"" BATTERIES"
"12-pc. Panasonic Alkaline ""AAA"" BATTERIES"
"NASCAR Bobby Labonte #18 Interstate BATTERIES 2002 5"" x 10"" wood plaque." "I don't need a man. I have BATTERIES. Waterproof 4"" x 8"" Magnet"
Two different modes of operation provide you with 24 super bright LED work lamp mode, 3 super bright LED flashlight mode. With these options you'll be ready for anything. 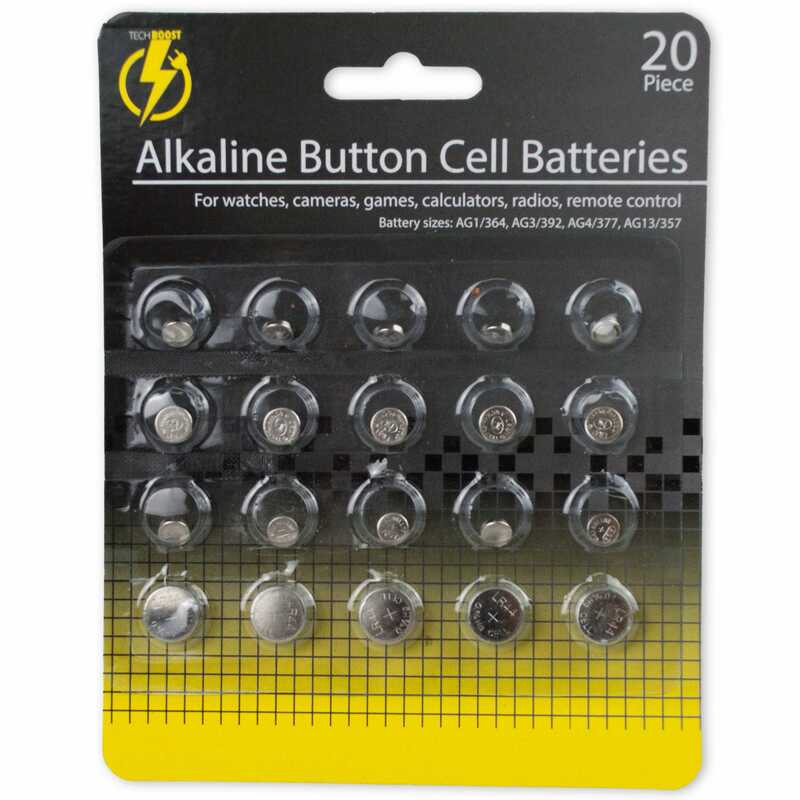 "Perfect for watches, cameras, games, calculators, radios, remote controls and more, this 20-piece Alkaline Button Cell BATTERIES Set includes four different BATTERY sizes: AG1/364, AG3/392, AG4/377 and AG13/357. Comes packaged in a blister pack." 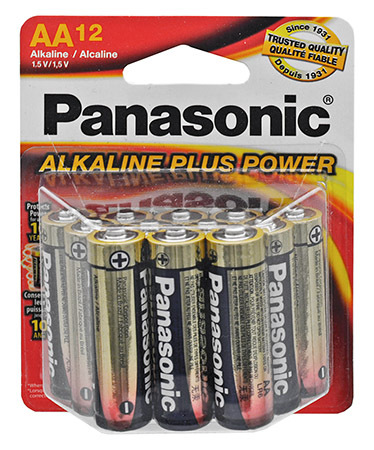 "Use BATTERIES in flashlights, toys, remote controls and more! 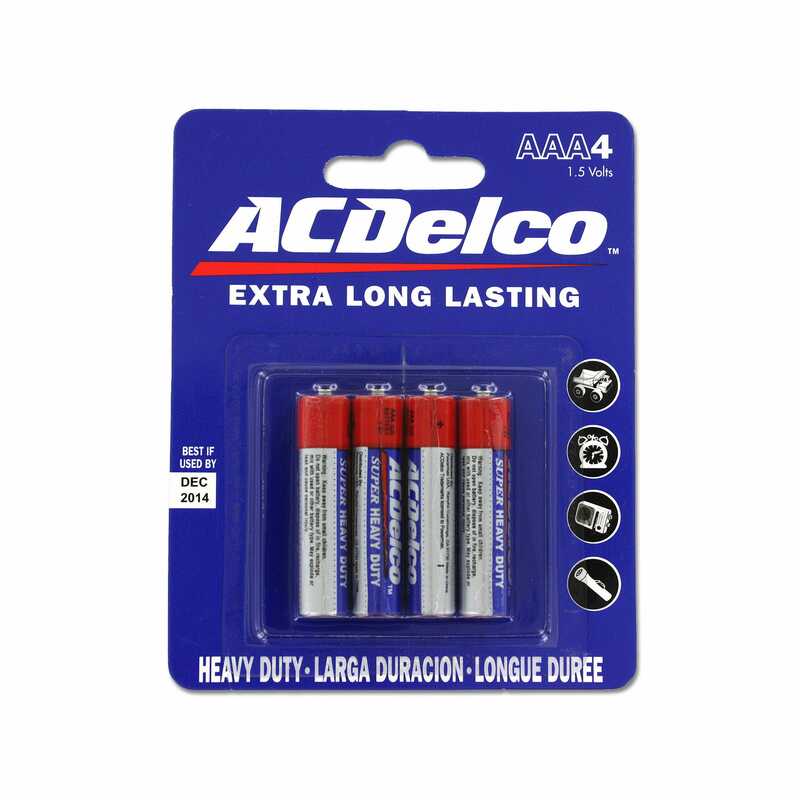 This 4 pack of 'AA' BATTERIES are also great to have on hand for emergencies. Keep out of reach of children. Comes packaged in a blister pack." 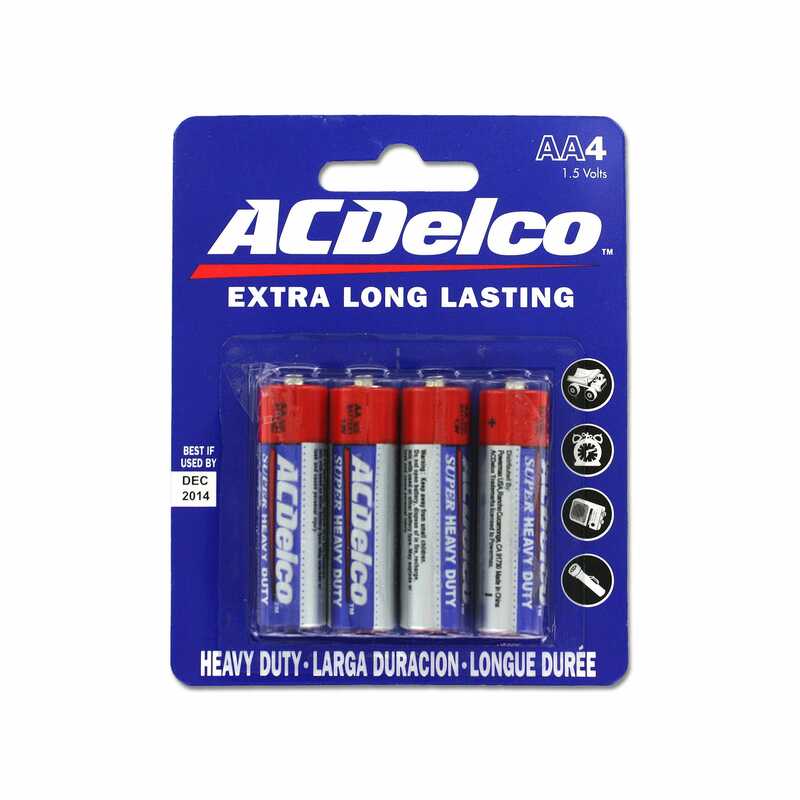 "Heavy duty ""AAA"" BATTERIES are ideal for remote controls, toys and small flashlights. Also great to keep on hand for back up and emergencies. Each pack comes with 4 BATTERIES. Keep out of reach of children." "Duracell BATTERIES - ""AA"" 2 Pack"
"BATTERY Operated Orbital Power Toothbrush comes in 3 assorted colors as pictured. ÊFeatures Oscillating bristles for effective cleaning, polishing and plaque removal. ÊRequires 2 AA BATTERIES that need to be replaced." "This 3 in 1 Tripod Fan includes an FM Scan Radio, Flashlight and headphones. Great utility piece to keep handy. Measures 5 inches tall and comes individually gift boxed. Includes 2 AA BATTERIES." "This adorable Princess Flashing Wand is in the shape of a Butterfly. BATTERIES are included so all you need to due is push the button on the back to create a fun flashing pattern. Measures approximately 15 inches tall. Comes peggable for easy display and is UPC coded. For ages 3 and up." 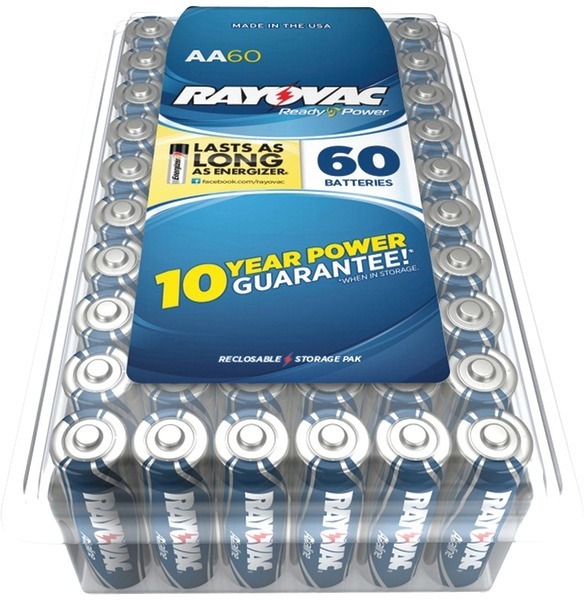 "Rayovac 815-60Ppj Alkaline BATTERIES Reclosable Pro Pack (Aa, 60 Pk) "
$0.60 each when purchased by 20pcs (1 box). $0.52 each when purchased by 120pcs (6 boxes) or more. 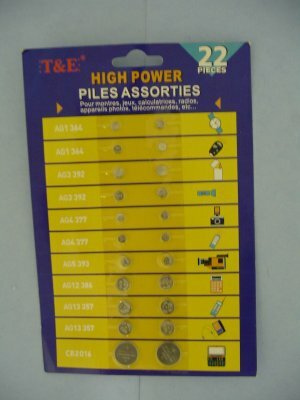 "$0.70 each when purchased by 20pcs (1box). $0.65 each when purchased by 120pcs (6 boxes) or more. BATTERY sizes include: (4) AG1-364, (4) AG3-392, (4) AG4-377, (2) AG5-393, (2) AG12-386, (4) AG13-357, (2) CR2016." "$0.42 each when purchased by 20pcs (1 box). 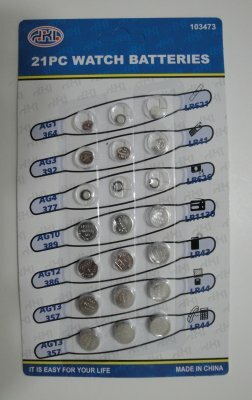 $0.36 each when purchased by 120pcs (6 boxes) or more. 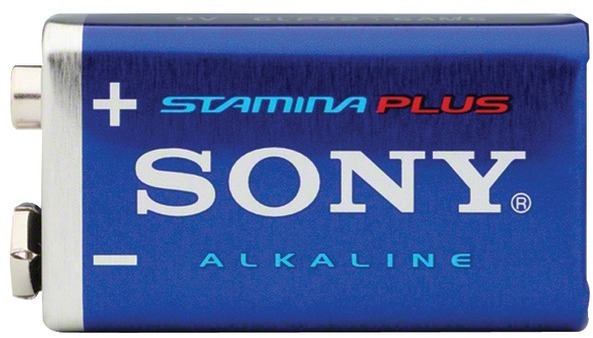 5 lithium BATTERIES in each pack. Good for toys, cap lights, etc."